I recently had the chance to setup a brand new SAN with two Dell R420 servers, two Dell PowerConnect switches, and a Dell MD3220i storage array with dual controllers. The goal was to install VMWare ESX 5.1 on the servers and attach them both to the storage array using iSCSI. We wanted to set them up in a cluster with shared storage so that if one server went down, the VM’s would be bootable on the other server (i.e. High Availability). I found a tremendously helpful article by Bruce9404 but I wanted to document my steps here in case I ever have to do this again. 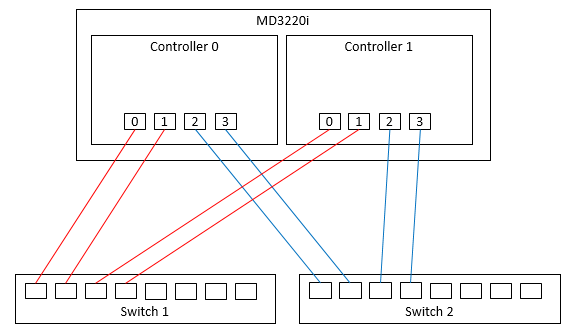 The Dell MD3220i has two controllers with four ports each. In addition, each controller also has a management port for configuring the array. It doesn’t really matter what subnets you choose as long as they are unique and not the same as your LAN subnet. 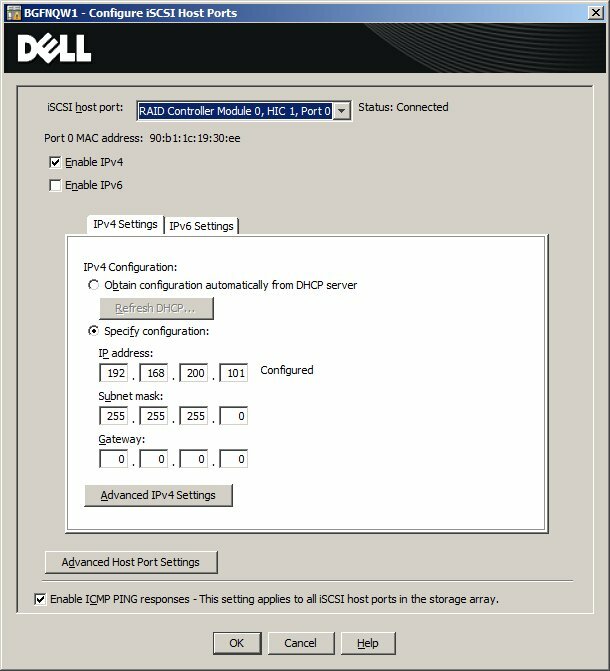 Click on the Setup tab and go to “Configure iSCSI host ports” to configure these IP addresses. Note that since our SAN is not connected to any other networks, there is no need for a default gateway. You can leave that field blank. Thanks for the great diagram! In this case, what are the IP’s that you have on the two Dell R420 servers ? Which model Dell Power Connect switches do you use and are they stacked? 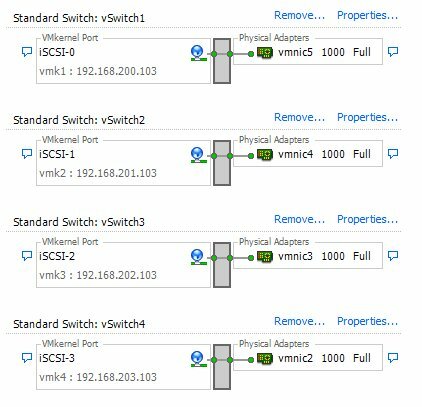 Do you use VLANs to group the ports from the separate subnets? Are you happy so far with your system? I don’t remember the model number of the switches but they are not stacked. I did not VLAN the ports on the SAN. I can’t think of why you would want or need to do that. We are very happy with the system. It has been running for almost 2 years now without a problem.